Superdry men’s Active training short sleeve t-shirt. This lightweight, short sleeve t-shirt combines a breathable tech fabric with moisture wicking technology to keep you cool and dry as you build up a sweat. 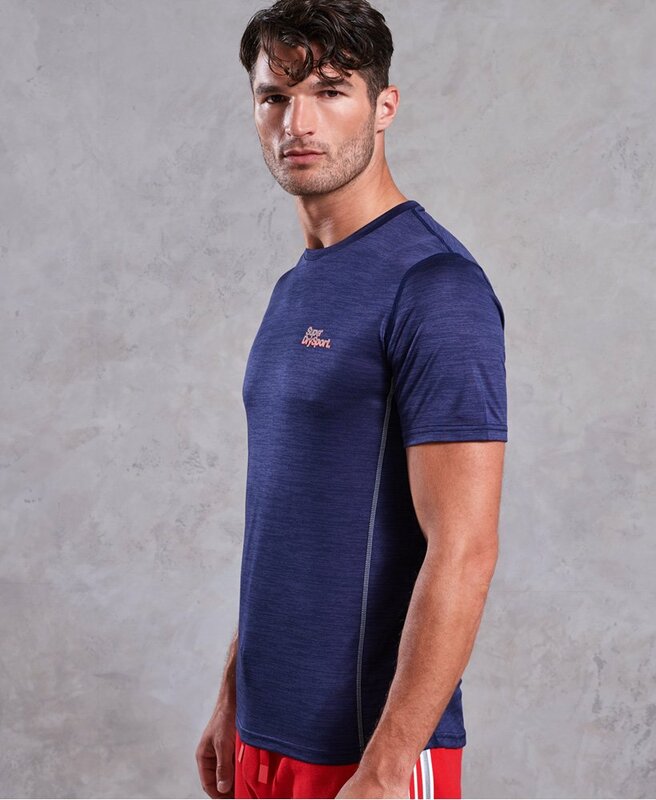 The Active training t-shirt also features flat lock seams for comfort and has been completed with reflective Superdry Sport logo detailing on the chest and back, helping to improve visibility in lower lighting.